From any Messenger conversation, select the OpenTable bot by tapping the + icon on the bottom left of the Messenger app. Pick an available restaurant to recommend and share with friends. Once you and your friends have picked where you want to go, book a table. Share the restaurant reservation confirmation with friends. “Dining out is such a social activity and millions of people are already using Messenger and social media to connect with friends to discuss their dining plans. 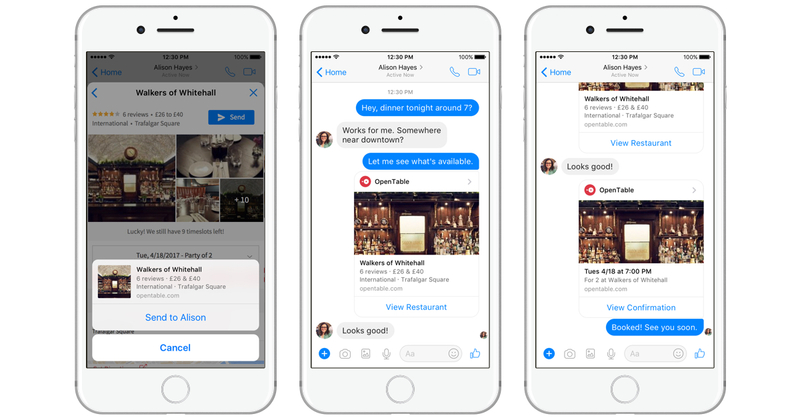 The OpenTable bot for Messenger is a natural extension of this making planning and booking together even easier,” added Porter. 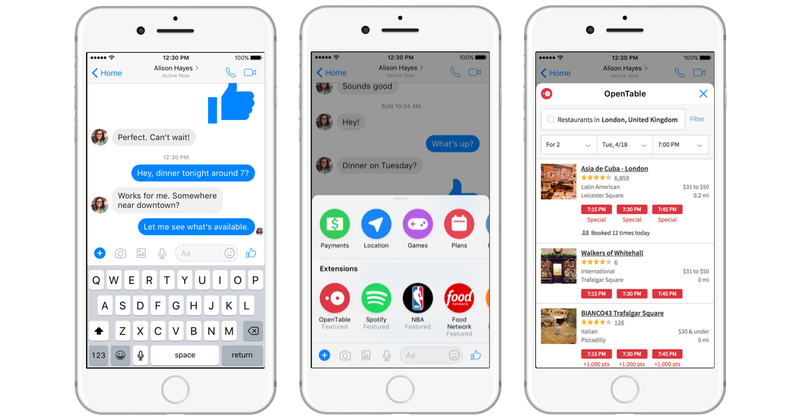 Share your experience with OpenTable’s bot for Messenger with us here or over on Facebook, Instagram, or Twitter.